Making sure your roof is insulated properly will save you money in the long term. In a poorly insulated roof up to a third of the heat within your home could escape into the atmosphere. Government figures suggest that you could reduce your energy bill by up to 20% simply by installing loft insulation. There are several ways to insulate the roof space either by applying insulation boards between the rafters against the roof tiles or by insulating between the joists of your loft floor. 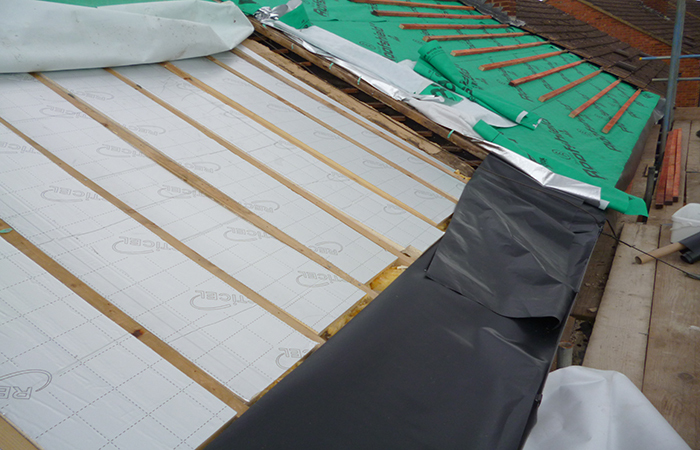 Here are some photos of the process that we use when we have to insulate a roof. 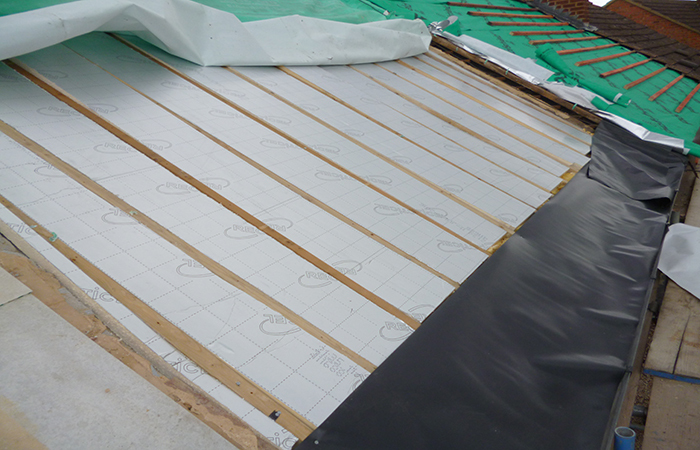 The photographs demonstrate one way in which we insulate a roof. We use a very high quality insulation material, ZVC6R which is one of the best reflecting insulation materials that we have come across. 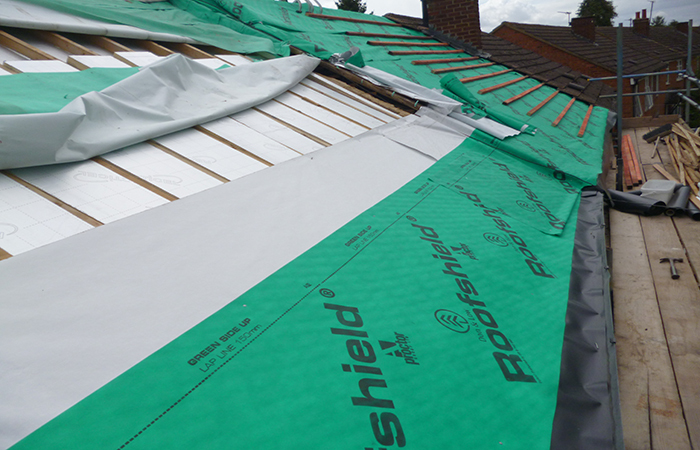 You can see the Celotex has been fitted between the joists and the BS 5700 has been fitted to the lower part of the roof. We always fit roof vents to the roof so the roof can breathe. This is to prevent condensation in the roof area. 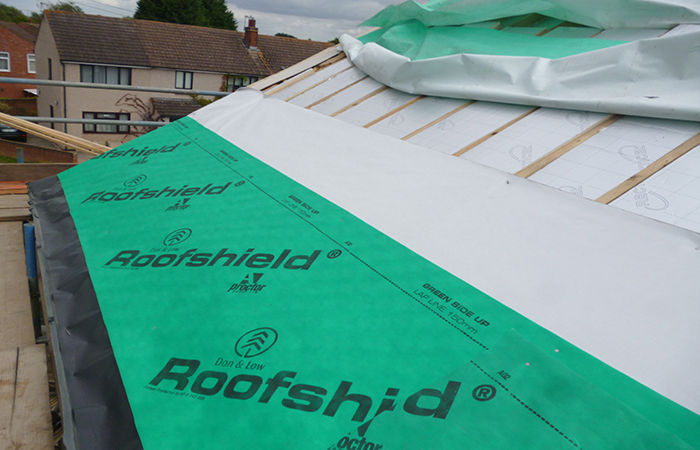 Consulting an expert like Roof Doctor Oxford Ltd can save you money and any problems with condensation as we are experts at fitting the correct type of insulation for your property. We only use the best quality products to ensure the longevity of your investment. For more information please call 01865 841664 to arrange a Free site visit.